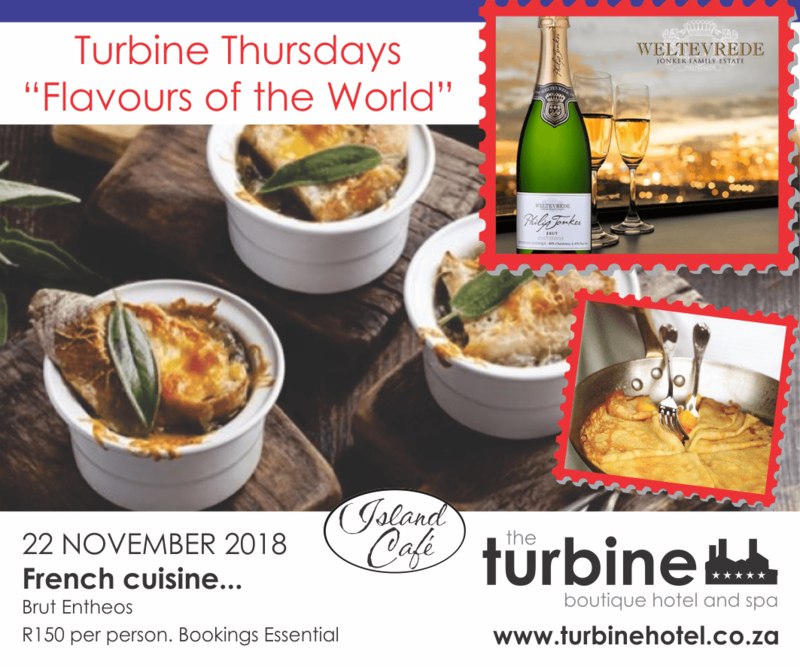 The Turbine Hotel & Spa has some exciting specials on offer at the moment, one of which is “Turbine Thursdays”. Our current theme is “Flavours of the World” meaning a sumptuous sample from several different countries. Join us as we take a trip around the world! 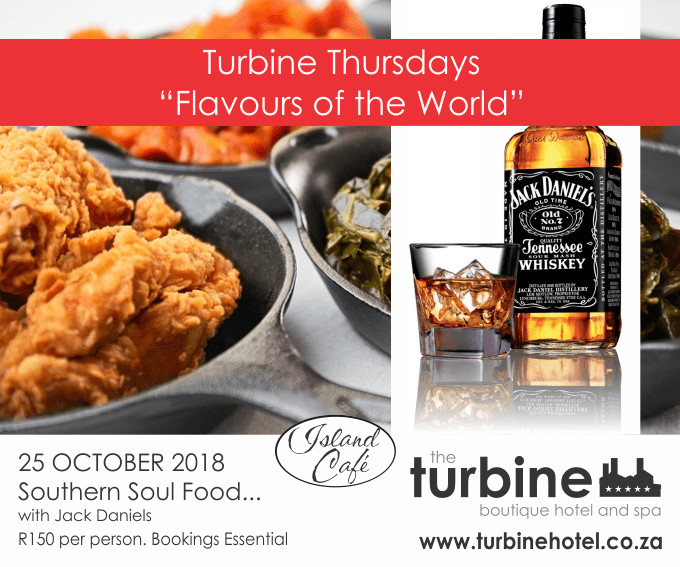 This particular evening is a must for all whiskey enthusiasts and anyone who has yet to experience Southern Soul Food. 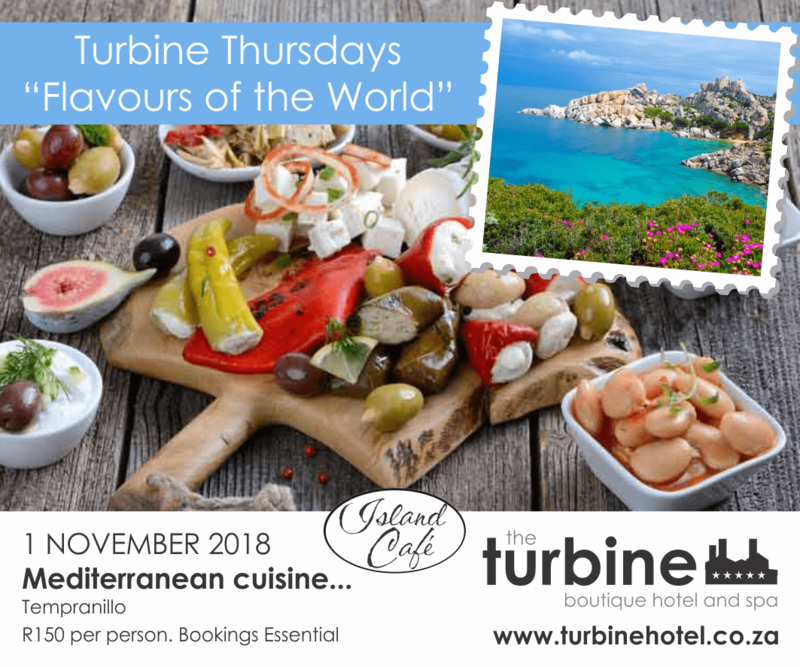 Picture azure waters and sublime sunshine as we explore the rich flavours of Mediterranean cuisine. Tempranillo, a delicious, full-bodied red wine will be served to complete your journey. Known for its delicious seafood, the adventure through the Meditteranean promises to be a tasty one. Paired with a Nine Inch Ale, imagine your feet in the sand as you watch the sun go down. Next, we head to Mexico for a spicier experience. 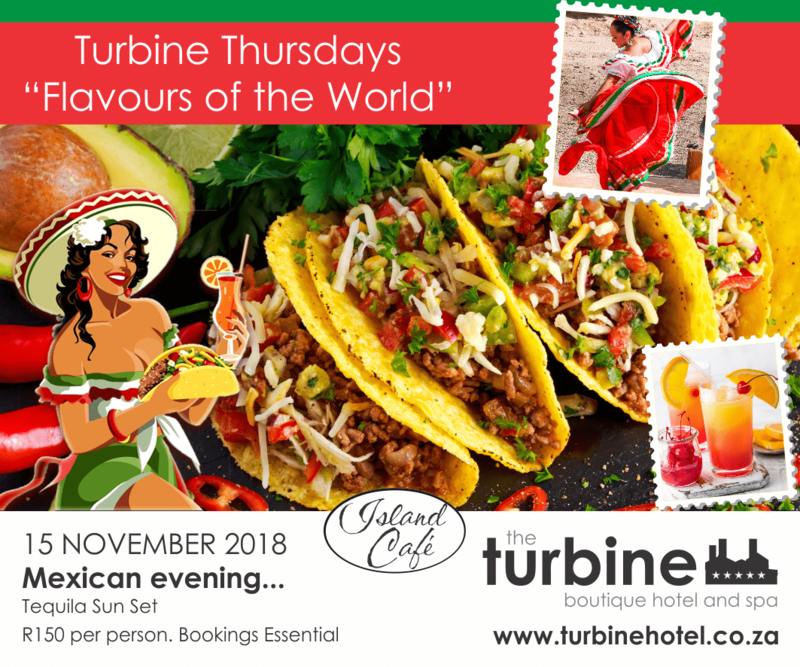 Make sure to plan your booking carefully so you can enjoy a tequila sunset while watching the sun retreat behind the horizon. Could we really call it “Flavours of the World” without making a stop in France? Accompanied by mandatory bubbles, join us for an evening of flavoursome fun. 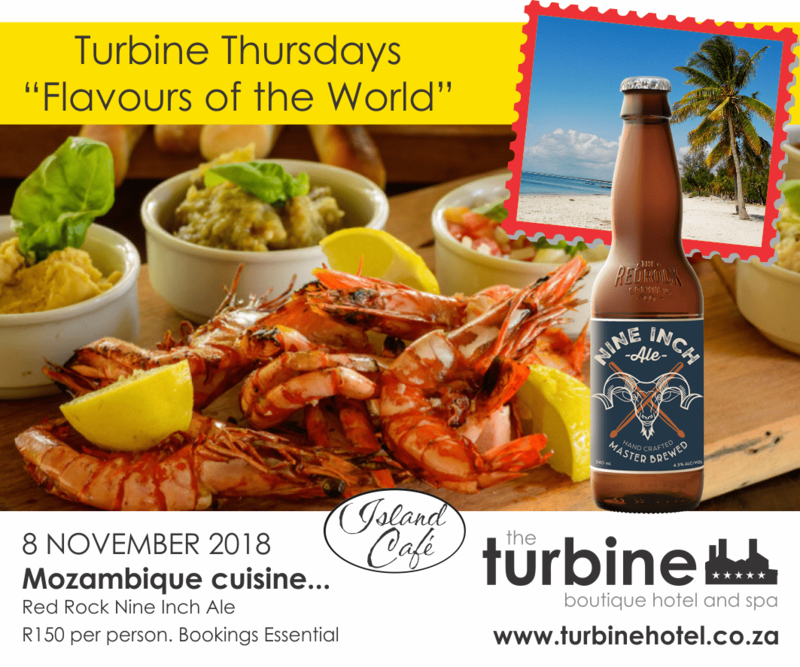 If for any reason you are unable to attend our Turbine Thursdays, there are always other specials on offer for you to enjoy. For those who cannot resist the fruits of the sea, indulge in our fish and chips for just R95. 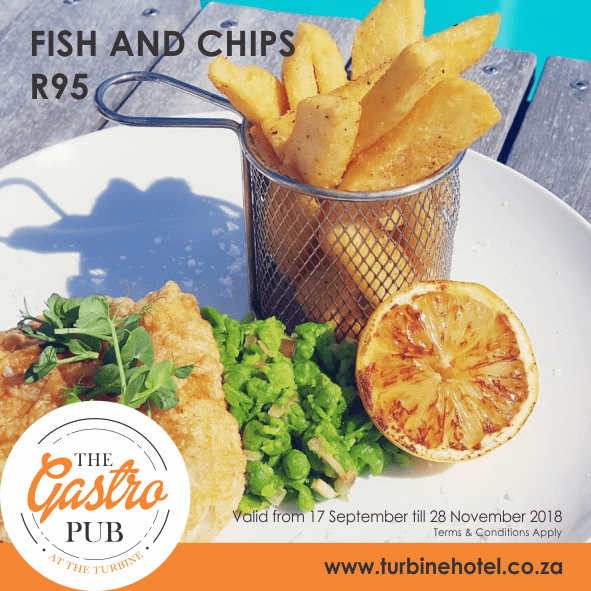 The offer is only valid until the 28th of November so, if this sounds up your alley, make a reservation at the Gastro Pub. Aside from our “Turbine Thursdays”, the Turbine Hotel & Spa already have its ducks in a row for Christmas. If the holiday season is a source of stress, consider joining the Island Café for Christmas Lunch. For anyone wishing to visit Knysna before the end of 2018, have a look at our various accommodation specials or contact us for further information. As the festive season is always a busy time, and space is limited, make sure to book soon and avoid disappointment!